Government adviser Nigel Whitehead warned that the Trailblazer apprenticeship process was “out of control” as he revealed fears national occupational standards (NOS) were in “danger” of being bypassed. The group managing director of programmes and support at BAE, and author of the government-commissioned 2013 Review of Adult Vocational Qualifications in England, said the system had been set up “without much reference back to the importance of the NOS as a foundation”. 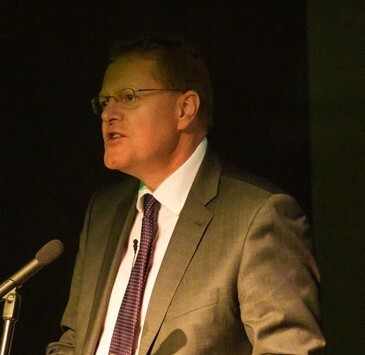 “My honest appraisal is that I think it is out of control,” Mr Whitehead told more than 150 awarding organisations at the Ofqual 2015 conference in Birmingham on Tuesday (December 8). The UK Commission for Employment and Skills (UKCES), which counts Mr Whitehead as one of its commissioners, is responsible for NOS across the UK. However, the UKCES was “struggling to get that voice properly heard” when the new apprenticeship standards were being drawn up by Trailblazer employer groups, said Mr Whitehead, and with its funding set to cease, “that danger moment is amplified”. 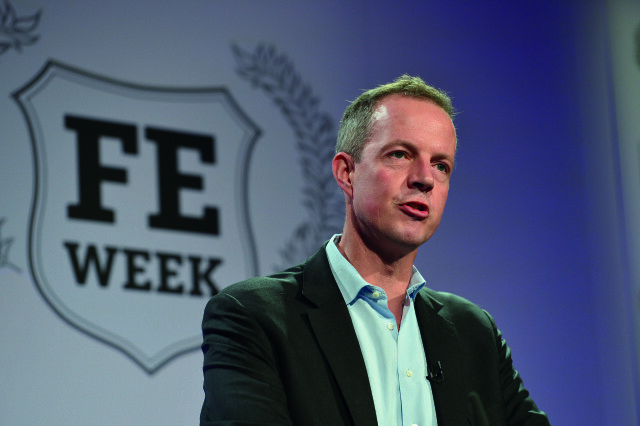 It’s an issue he said he had even raised with Skills Minister Nick Boles — “and he acknowledges that we have some work to do to work out how that function is going to be performed,” said Mr Whitehead. 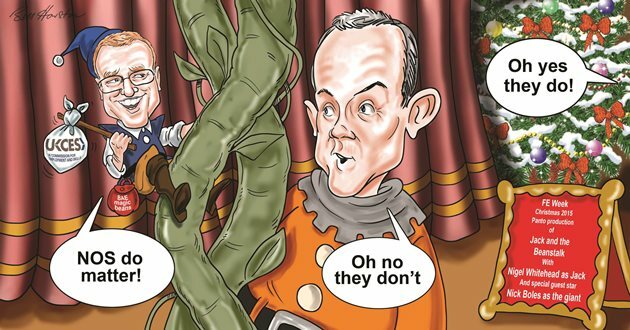 The comments appear to have put Mr Whitehead on collision course with the Department for Business, Innovation and Skills (BIS), which said research carried out by the UKCES itself showed only 5 per cent of employers had a good knowledge of NOS, while 44 per cent of the economy was not even covered by NOS. “Employers are free to refer to national occupational standards to support the development of their Trailblazer apprenticeships — most have chosen to do something different,” said a BIS spokesperson. Mr Whitehead’s employers at BAE, which is on a number of Trailblazer groups, also backed him, saying they “recognise the value of NOS and their role in ensuring apprenticeships in our sector meet their requirements”. “We believe they are an essential starting point on which high quality apprenticeships and many vocational qualifications should be based,” said a BAE spokesperson. According to the UKCES, NOS are developed “for employers by employers through the relevant Sector Skills Council or Standards Setting Organisation” and are “statements of the standards of performance individuals must achieve when carrying out functions in the workplace, together with specifications of the underpinning knowledge and understanding”. However, with UKCES funding set to end, question marks also hang over the devolved nations’ use of NOS. “They are waiting with baited breath to see if they have to build their own foundation or whether they can rely on the English system to actually then continue to provide a foundation,” said Mr Whitehead. A Scottish government spokesperson said it had “a commitment from Mr Boles to work with the devolved nations on this”. The Welsh government was yet to respond. The government saw fit to listen to Mr Whitehead on qualifications nearly three years ago. His recommendations resulted in the public funding of, it has been estimated, around 6,900 adult vocational qualifications severed. He is clearly someone that is listened to among ministers and at Whitehall. So his warning that the Trailblazer process was ‘out of control’ will hopefully also be listened to. He, along with the UKCES, makes a case for national occupational standards (NOS) that Trailblazer employers, no less than BIS, should take great care to heed. But it’s a warning that also came with worries for devolved governments who rely upon the UKCES for their own NOS in developing apprenticeships. And perhaps one of the most damning criticisms of this particular issue, and also the breakneck speed of reforms, comes from North of Border about the ‘unintended consequence’ of policy shift after policy shift. It just adds to that out of control feel that the FE and skills sector has sadly become accustomed to nowadays. The UKCES funding around NOS has shrunk year on year since 2009 meaning that, in reality, it is already employers in many sectors who continue to fund the bulk work necessary to develop, review and maintain standards. UK Govt continues to look at NOS solely through the lens of adult qualifications, but for many employers they actually play a fundamental role as the consistent common language of ‘what good looks like’ throughout their HR and learning systems and processes. The changes to NOS being pushed for by BIS through UKCES risk making them more complex, more opaque and less user friendly; the complete opposite of the intended ‘simplification’ exercise. They are the one, single consistent component of the UK skills landscape and where they are used well, play a vital role. My concern is the way the term ’employers’ is used as if they were an homogenous group. What employers want means different things to different employers and BIS should listen less to the handful who can employ effective lobbyists. I share concerns that trailblazers are splintering the currency of Apprenticeships. At present an Apprenticeship is like the US Dollar…everyone knows what it is and what it’s worth. The new trailblazers will have some US Dollar standard programmes, but also so Euro, Swiss Franc, Mexican Peso etc etc. I am deeply concerned that some of these new Standards will be viewed simply as industry qualifications with little value and zero portability. It is disappointing that the Government in England seems to place so little value on NOS and Sector Skills Councils when internationally they are held in the highest regard and extensively copied along with the rest of our competence based approach to technical and vocational education. I am sure they are right that these approaches do need to be continually adapted and refreshed, but perhaps with a little more humility and listening first? Trailblazer work has added new energy to the standards debate and has been effective at engaging employers. Managed sensibly, the Trailblazer standards can provide a valuable “front end” to NOS, testing their relevance and enhancing their value. But someone has to do the leg work to join all this up and to turn TB standards into apprenticeships that can be assessed. Who is going to pay for that? Might it also have been better if we had started with a road map of the occupations that needed to be covered rather than the “making it up as we go along” approach to policy making that has been driving employers round the bend. Perhaps an opportunity for the new apprenticeship agency, if BIS gives them the space to untangle this pretty important issue. Allow employers to cut corners and they always will, I am afraid without any regulation and standards apprenticeships will be of very poor quality and abused as cheep labour by employers.